Sulkem proudly remains a wholly New Zealand owned private company after more than half a century of operation. We also source and supply other niche markets as well. 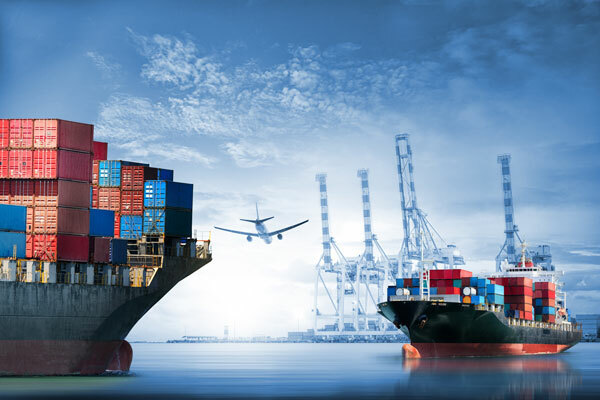 Our offices and extensive chilled and ambient store are conveniently located in Penrose where we maintain a close association with our own key support networks such as the Port and Airport and freighting infrastructure. Our logistics are carefully managed with storage and distribution largely operating in Auckland but with strategic satellite locations provided to service our more remotely located customers with short delivery times. Our global supply network is extensive and trusted, with some supplier partnerships strengthening over many decades of rewarding business. Quality and reliability are central to our core values. Sulkem upholds integrity in all business matters as a primary focus and central to the family values of the company owners. William Goodfellow’s acumen, vision and energy contributed significantly to the shape and direction of the New Zealand dairy industry in the twentieth century. One of six children of Thomas Goodfellow, a farmer, and his wife, Jane Grace Maclaurin, he was born in Alexandra (Pirongia) on 26 May 1880. About 1892 the family moved to Auckland where William was educated at Mount Eden School and Auckland Grammar School. He did not shine academically but enjoyed the courses offered by T. Harle Giles’s Commercial College, which he attended for a year. At 18 Goodfellow found a position with H. F. Anderson and Company, ships’ chandlers, but soon moved to the leading Auckland hardware merchants T. & S. Morrin and Company. There he developed an understanding of machinery which had a lasting influence on his attitude to technological change. At 21 he became a partner with Harry Prime, a hardware merchant of Onehunga, setting up a base for the firm in Hamilton in 1904. He soon became manager of Green and Colebrook, general merchants. Travel to Europe and the United States in 1906 further broadened his experience of the hardware business. William Goodfellow married Irene Clarabella Chamberlin on Ponui Island in the Hauraki Gulf on 22 January 1913; they were to have five sons and a daughter. Goodfellow entered the dairy industry almost by accident. The purchaser of an order of dairy equipment defaulted, leaving him with plant and machinery on his hands. Foreseeing a more mechanised dairy industry in the future, he formed the Waikato Dairy Company in 1909. This he converted into the Waikato Co-operative Dairy Company in 1910, and in 1915 also formed the Waikato Co-operative Cheese Company. Goodfellow was committed to building a large company so as to achieve economies of scale, and to the use of modern technology – in this case, the home separator – to have greater control over the quality of farm products. Under his management the company provided strong competition to the other major co-operative in the area, the New Zealand Dairy Association, owner of the Anchor brand. The two companies merged in 1919 and, as the New Zealand Co-operative Dairy Company (NZCDC), continued to gather in most of the smaller co-operatives of the region to create by far the largest dairy company in New Zealand. Goodfellow was managing director of the NZCDC from 1919 to 1932 and subsequently advising director, and he became increasingly influential in the developing dairy industry. He saw constant, effective communication as the key to carrying the members of the co-operative towards higher yields and an improved product. With A. R. Harris he set up a local broadcasting station to keep in touch with the company’s isolated suppliers; it developed into New Zealand’s first national system, the Radio Broadcasting Company of New Zealand, with its own magazine, Radio Record. From 1925 to 1931 it operated a national broadcasting system under contract to the government. The NZCDC was the first New Zealand dairy company with an on-site laboratory and a farm instruction service teaching herd and grass management. The company sought to become independent of external contributing industries, and purchased a box factory and a colliery. In 1927, in partnership with Wright Stephenson, Goodfellow established the Challenge Phosphate Company, to bring lower-priced fertiliser to Waikato farmers. He later became chairman of the Kiwi Fertiliser Company in Morrinsville. Goodfellow’s greatest contribution to the company’s expansion was his insistence on firm control of marketing. A small group of London agents were instructed to sell at a fixed price, based on ruling market rates, and to supply daily schedules of sales and stock information, enabling more controlled delivery and eliminating price cutting. Goodfellow crusaded for a unified marketing organisation to prevent New Zealand co-operatives from competing against each other on the London market, and to eliminate middlemen. He was a leading member of the New Zealand Dairy Produce Control Board, set up in 1923, which tried to establish an industry-wide marketing system based on the NZCDC model. It attempted to monopolise marketing arrangements and to fix prices for dairy produce, but encountered hostility from the London agents and lack of co-operation from some New Zealand dairy companies. Amid much public discussion the board withdrew from its marketing initiative in 1927, but Goodfellow helped to set up a new marketing company, Amalgamated Dairies, offering other co-operatives the opportunity to join the marketing system of NZCDC. The offer was generally rejected, being seen by some as a threatening move by a competitive giant and by others as an attempt to establish an alternative to the board’s proposal. Goodfellow himself, while remaining committed to the principle of industry-based export marketing, abandoned the concept of wider industry association because of the short-sighted policies of other companies. He resigned from the board in 1928. In 1929 he established Empire Dairies, a partnership between Amalgamated Dairies and the Australian Producers’ Wholesale Co-operative Federation, to sell dairy produce from New Zealand, Australia and other Commonwealth countries in the United Kingdom. The dairy industry learnt much from the 1926 débâcle, and eight years later the board, now the New Zealand Dairy Board, produced a marketing plan based on the successful practice of the NZCDC. The election of the Labour government in 1935, however, with its policy of a guaranteed price for dairy produce, followed by the Second World War, put a stop to the extension of the scheme. In 1947 the New Zealand Dairy Products Marketing Commission was established, and six years later it purchased Empire Dairies. The commission endorsed Goodfellow’s vision of the 1920s by successfully adopting the marketing strategy he had advocated. Goodfellow saw the need to keep the industry informed of the board’s activities, and put up most of the initial share capital of the journal that became the New Zealand Dairy Exporter; in 1954 this was purchased by the Dairy Board as its official organ. 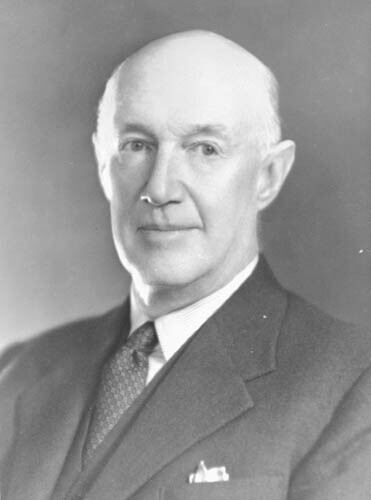 Goodfellow promoted the need for amalgamation of co-operatives on a large scale; firmly supported the establishment of the Dairy Research Institute (NZ) in Palmerston North in 1927; and urged product diversification, flexibility of factory operation and the pressing urgency of exploring and exploiting non-traditional markets. Goodfellow made a foray into politics in 1934. Disillusioned by what he regarded as the socialistic legislation of Gordon Coates, he funded A. E. Davy as a full-time organiser for the right-wing Democrat Party. After falling out with Davy, he abandoned the party before the 1935 election. An energetic and skilled businessman, Goodfellow was a director of South British Insurance, the Guardian, Trust, and Executors Company of New Zealand, New Zealand Newspapers and the Cambridge Clothing Company. He was an elder of the Presbyterian church for some years and was made a Knight Bachelor in 1953 – the first to be conferred on New Zealand soil by the sovereign. Goodfellow was made a Freeman of the City of London in 1951 and received an honorary LLD from the University of Auckland in 1963. He was a private person, however, preferring family activities such as fishing, yachting and gardening. William Goodfellow was a generous benefactor to educational institutions. The Maclaurin Chapel at the University of Auckland commemorates both the death of his son Richard in the Second World War and the life of his uncle, the distinguished academic Richard Cockburn Maclaurin. He also funded the Richard Maclaurin Goodfellow chaplaincy at the university and donated scholarships in engineering and medicine in memory of his brothers Eric and Gordon, both killed in the First World War; the University of Waikato benefited from the establishment of the Lady Goodfellow Chapel. His greatest donation, however, was to the trust of St Kentigern College in Auckland, in which he continued to be keenly interested until his death. He gave 173 acres of Waitakere bush to Auckland municipal authorities as a reserve, and substantially funded the Auckland War Memorial Museum. Irene Goodfellow died in 1970; on 1 June 1971, at Auckland, William Goodfellow married his cousin’s widow, Edith Gwendoline Jessie Maclaurin (née Creagh). He died in Auckland on 5 November 1974 aged 94, survived by his wife.